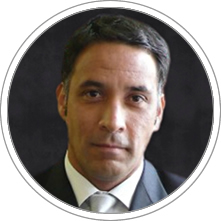 Carlos E. Morales has a PhD from the Humboldt University of Berlin (Socio Economic and Statistical Program you study), Master in Sociology from the University of Barcelona, EADA MBA degree in Social Psychology from the Universidad Catolica del Peru. He was part of the panel of experts responsible for the National Plan of Diversity Management for SMEs in Spain (Ministry of Labour 2008). For several years he has worked as a consulting, leading his own market research company in Lima. He is currently professor of entrepreneurship, business projects and research methods and Visiting Professor at CENTRUM Catolica Graduate Business School.